Instead, it’s about the bad luck of all-new people, including Chris Pratt and Bryce Dallas Howard, who get thrown into that same situation—though Trevorrow said you will see one familiar face that hasn’t been eaten already. 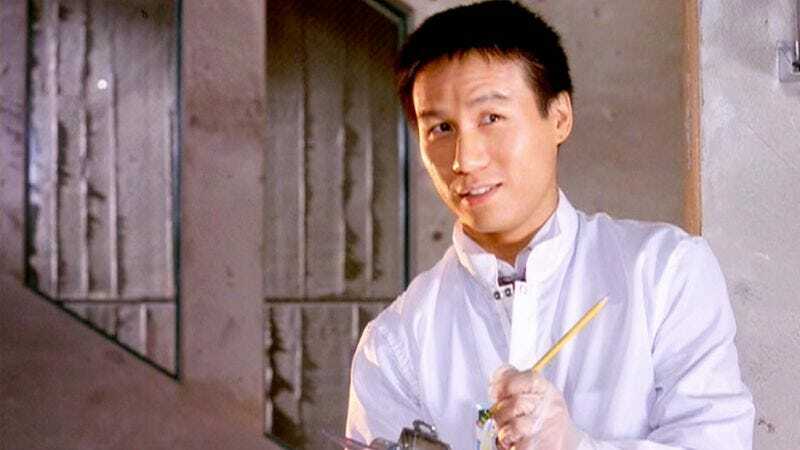 BD Wong will return to play Dr. Henry Wu, about whom Trevorrow says, “He had a much larger role in the original novel, he was the engineer of this breakthrough in de-extinction. He spent two decades living in Hammond’s shadow, underappreciated. We think there’s more to his story.” Wu was overshadowed in the film as well, appearing only once, early on, in the “life finds a way” lab sequence, with the other characters giving him and his fate nary a thought after the park breaks down. But now Wu will be back, creeping everyone out with his thoughts on “unauthorized breeding,” this time on a much larger scale.